E. Brennan Bollman, a biological sciences major from St. Joseph, Mich., has been named valedictorian of the 2009 University of Notre Dame graduating class and will present the valedictory address during Commencement exercises May 17 (Sunday) at 2 p.m. in the Joyce Center arena. Bollman earned a 4.0 grade point average and was a member of the Glynn Family Honors Program. 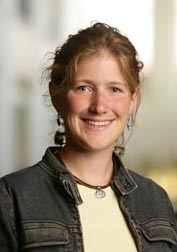 A peace studies minor, she received the 2008 Yarrow Award from Notre Dame’s Kroc Institute for International Peace Studies in recognition of outstanding academic performance and service. She also was a member of the Dean’s List each semester. Bollman served as a research assistant in Notre Dame’s Haiti Program for the Elimination of Lymphatic Filariasis, conducting field work in Leogane and Port-au-Prince, Haiti. She participated in the University’s Summer Service Learning Program twice—first in Rochester, N.Y., where she worked for ten weeks at a Catholic Worker women’s emergency shelter; and then in Cambodia, where she taught courses on current world affairs to Cambodian university students. As coordinator of the Pathos Project Humanistic Medicine Program, Bollman initiated a student-organized academic course on humanistic medicine that now is offered through Notre Dame’s Department of Preprofessional Studies. She also is a member of VOICE, the student advisory board for the University’s Center for Social Concerns, and is a student board member of the Dooley Society, Notre Dame’s organization for medical alumni, and ND-8, a student club that focuses on millennium development goals. The Commencement invocation will be offered by Adrienne Murphy, a history and Spanish literature major from Dallas, who will graduate with a 3.98 grade point average.